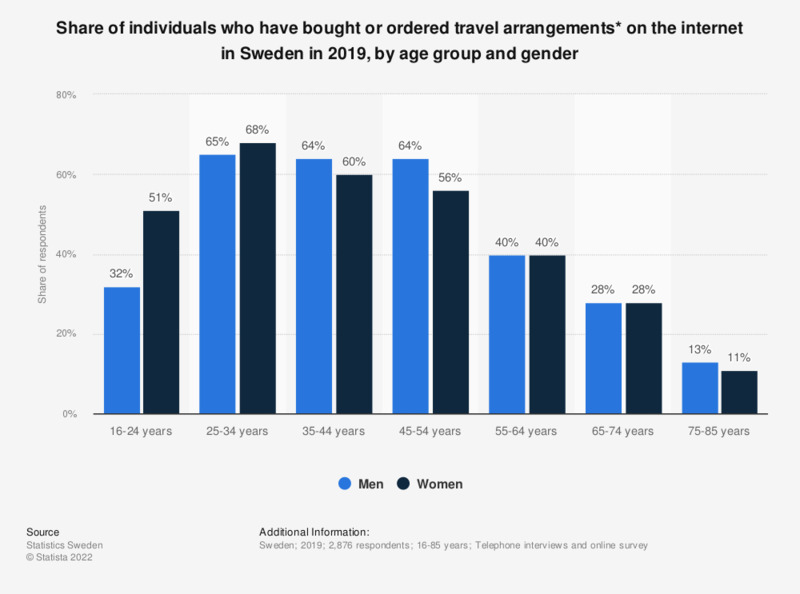 This survey shows the share of individuals who have bought or ordered travel arrangements via the internet in Sweden in the first quarter of 2017, by age group and gender. During the survey it was found, that 56 percent of men and 72 percent of women aged 25 to 34 years have bought or ordered travel arrangements online for private use. * Travel arrangements such as transport tickets, car rentals etc. Have you used the internet for the following purposes within the last year?